In this week’s blog, I refer to: Service Charges; Office for National Statistics; HM Treasury; Brexit; Tax; Welfare; Public borrowing; National Health Service; Institute for Fiscal Studies; Ministry for Housing, Communities & Local Government; Local Authority Housing Finance; Housing Associations; Scottish Government; Information Commissioner; Freedom of Information Act; Public Finance; and Inside Housing. Tomorrow I will be in London to present our seminar: ‘All You Want to Know about Service Charges in Social Housing’. as usual, this has been popular and I am looking forward to meeting the delegates. The next session will be in Leeds on 4th June. The Office for National Statistics has announced that the UK Gross Domestic Product grew by only 0.6% during October and November 2018 but then fell by 0.4% during December 2018. The UK economy is now in decline! Increased tariffs on imported goods to protect UK industry and raise revenue (contrary to the proposals from many Brexiters that tariffs should be reduced or abolished altogether). Reduced Value Added Tax to encourage consumer spending and mitigate against inflation caused by the falling value of Sterling. Reductions in Income Tax and Stamp Duty. Ending the freeze on Welfare Benefits. Releasing £15.4billion for spending on infrastructure or further tax cuts. An additional £60billion of public borrowing by 2023/24. Relaxing the regulatory system, including food standards. Reduced interest rates to encourage consumer borrowing and discourage saving. This appears to me to be an interesting economic plan. My concern would be that, while it involves a considerable increase in public borrowing, very little of this would be used to support hard pressed public services such as the National Health Service, Local Authority services for Adult Social Care and Children’s services or the provision of affordable housing and tackling homelessness. I am also concerned that such a policy would inevitably place the UK government in the hands of their creditors with a resultant loss of ‘control’ over budgets and ‘sovereignty’. 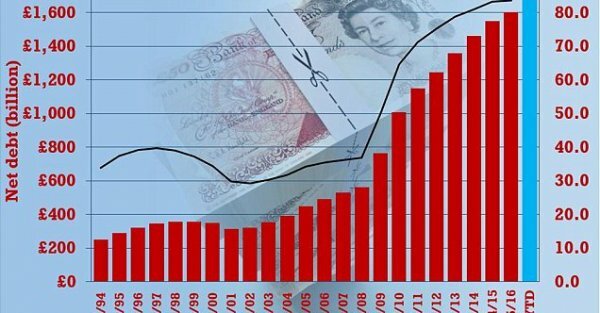 The UK government has operated at a significant deficit each year since 2008 and its liabilities already exceed the value of its assets. Meanwhile, the Institute for Fiscal Studies has warned that public services face years more of austerity unless the chancellor increases budgets by billions of extra pounds at the 2019 Spending Review. They calculate that government spending plans announced in the 2018 Budget will mean real terms reductions for public services other than health, defence and overseas aid; and that to avoid any reduction in real-terms expenditure per capita, unprotected government budgets (including those of the Ministry for Housing, Communities & Local Government) would require an additional £5billion by 2023/24. Budgets for unprotected services have been reduced by 3% year on year since 2010, amounting to a loss of £40billion. The financial outlook for public finances and public services does not appear to be good! 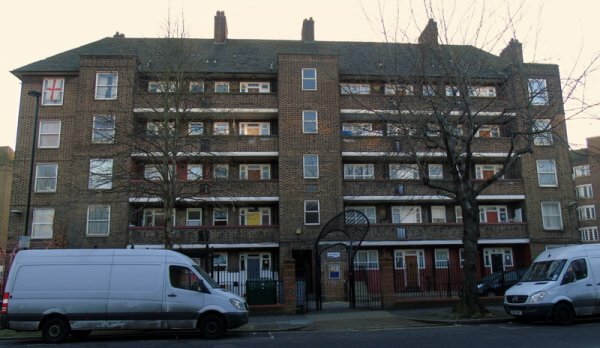 The Briant Estate in Lambeth, London. This week we launch our seminar: ‘Developments in Local Authority Housing Finance 2019’. Sessions will be held in London and Leeds during June 2019. Last week, the British information commissioner said that housing associations in England should also be made subject to the Freedom of Information Act. She said that in the case of housing associations, the transparency gap is ‘emphatic and clear’ especially in the wake of the fire safety concerns that have arisen after the Grenfell Tower fire. Those with experience of managing Freedom of Information Act requests will confirm that while the Act has increased transparency it is also often very onerous to comply with. It will be interesting to see whether and when the Freedom of Information Act will be extended to English housing associations.